Categories: Announcement, Priest, St Mark's Church, St Mark's Church Family, St Mark's Community, Together with St Peter's | Permalink. 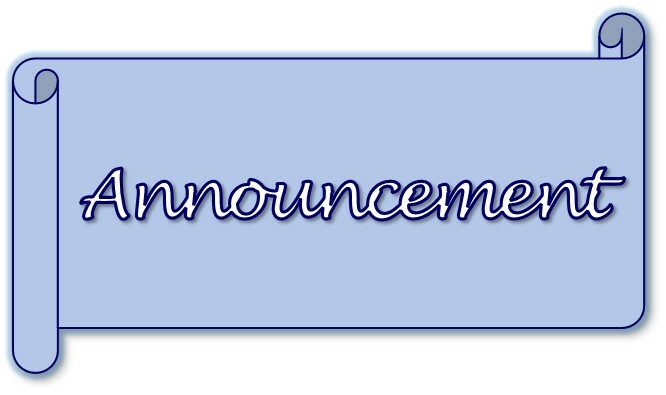 Categories: Announcement, Food Bank, St Mark's Church Family, St Mark's Community | Permalink. On Sunday 31st March 2019 (Mothering Sunday), it was announced that the Revd. 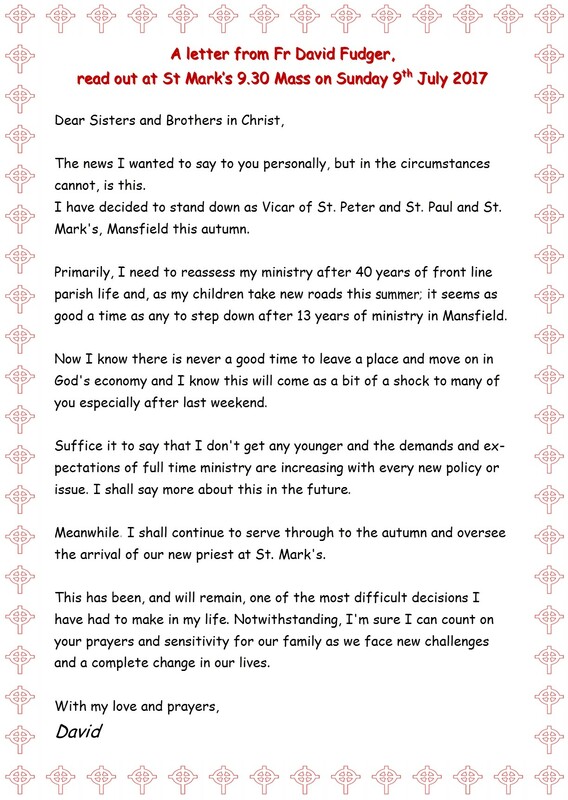 Dr Caroline Phillips has been appointed Vicar of Ss Peter and Paul, with St Mark Mansfield. At the present time, no date has been given for the Licencing. 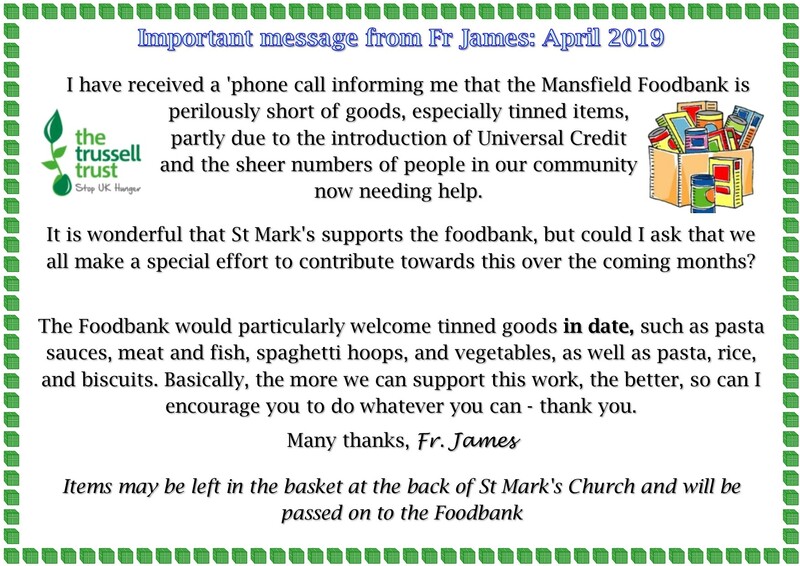 The people of St Mark’s and our priest, Fr James, look forward to welcoming Revd. 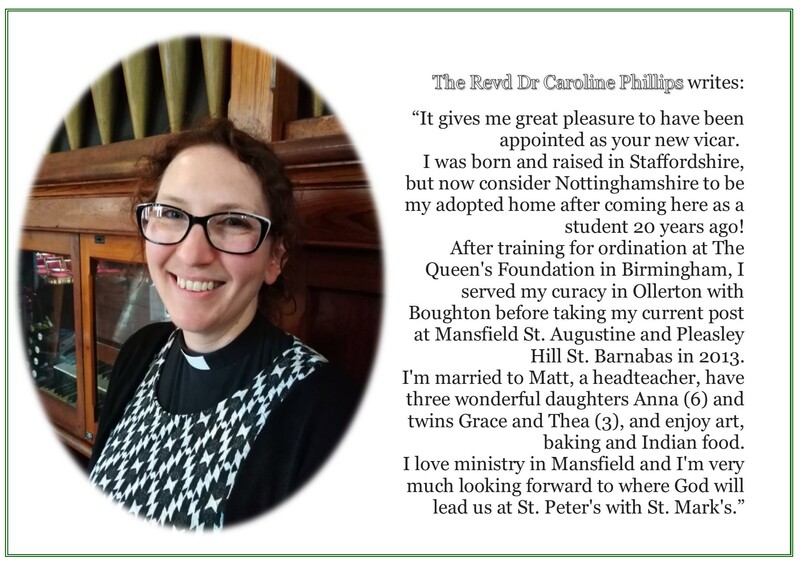 Dr Caroline Phillips to our community.